One of the most popular, easiest "brands" of programming languages is the BASIC language. BASIC stands for "Beginner's All-Purpose Symbolic Instruction Code" and comes in various dialects. Over the decades, many BASIC dialects made for specific platforms have come and gone, but 4 main dialects are still used today when programming for the Windows PC. These four dialects are QuickBASIC 4.5, QBASIC 1.1, QB64, and Visual BASIC. The first three dialects mentioned are not "visual" languages, but Visual BASIC is. Moreover, the first three dialects are extremely similar, while Visual BASIC is a much more modern and complex language. Before QuickBASIC 4.5 and QBASIC 1.1, there was a BASIC dialect known as GWBASIC. 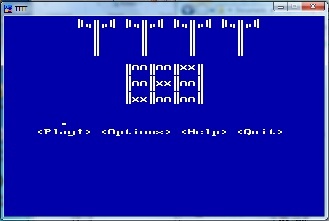 GWBASIC was a very simple BASIC dialect for DOS machines. Over the years, DOS changed drastically, and Microsoft decided that they should create another, more modern BASIC dialect for their latest DOS, MS-DOS. This dialect that they created was much more powerful than GWBASIC, since it was an IDE and had much revised and new BASIC commands. Although QuickBASIC 4.5 is not the final version of QuickBASIC, it is the version most preferred by programmers. There is little difference between QBASIC 1.1 and QuickBASIC 4.5, except that one (QBASIC) is a freeware version, with some commands unsupported from QuickBASIC 4.5. Moreover, QBASIC 1.1 cannot compile programs, since it is an interpreter. 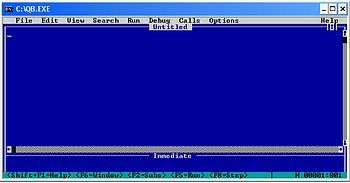 On the other hand, QuickBASIC 4.5, although not freeware, can compile programs into stand-alone .exes and has more commands and functions. QBASIC 1.1 was packed inside many Windows 95/98 sample discs deep inside. 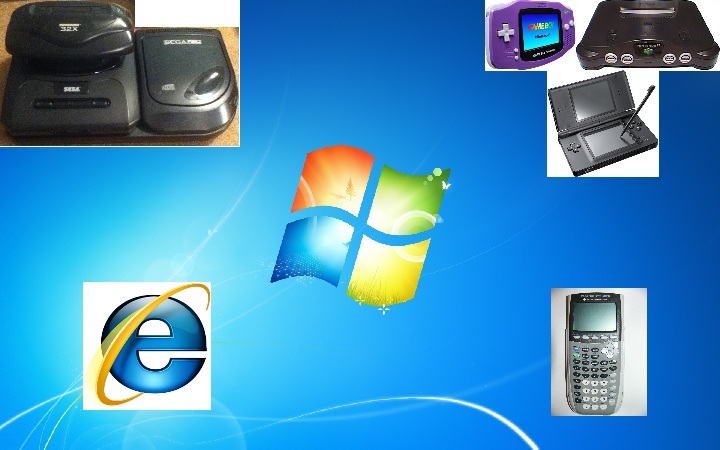 The next version of Windows that was made revolutionized the way people use Windows computers. 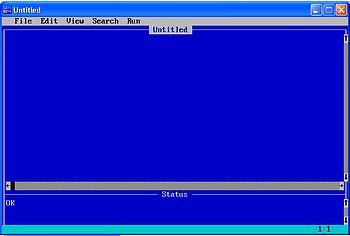 This version was Windows 3.1, which had visual windows and GUIs, compared to a command-prompt like environment. With command-prompt like programs disappearing fast, new visual programming languages started to appear. One of the earliest visual programming langauges was Visual BASIC, which was a beginner's languages for creating visual elements for programs. Visual BASIC is extremely different from Q/QuickBASIC, in that the IDE is object-oriented and event-driven. 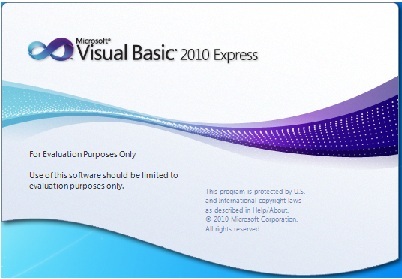 As computers changed over the years, Visual BASIC has been updated to work with newer computers, until it was how it is today. 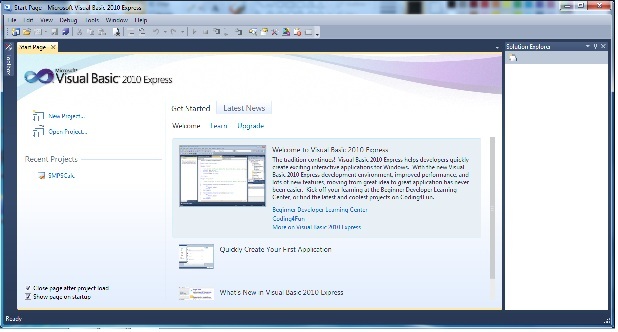 One of the most popular IDE's for programming in Visual BASIC is Visual Studio 2010, by Microsoft. There are two version of Visual Sutdio: Express and Professional. Express is the simpler, dumbed down freeware version, while professional is the shareware, more powerful version. The main difference is that one (Express) can only program for a single language specified, while the professional version can be used to program in a mtulitiude of languages. 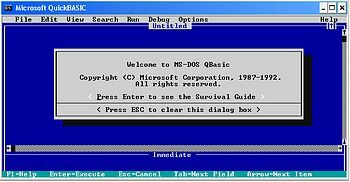 As computer's changed, and Q/QuickBASIC quickly became almost obsolete, many indie programmer's wanted to have a more up-to-date version of a non-visual BASIC dialect, especially since Microsoft sadly discontinued working on making new versions of Q/QuickBASIC. So, a small development team known as the QB64 team, decided to create an unoffical update of Q/QuickBASIC known as QB64. The new, main features of this programming language is that it adds some new, modern commands, and finally fixed (most) compability issues of Q/QuickBASIC programming with x64/64bit computers. QB64 is still being developed and improved upon today, and is quite powerful. document for dead links from errors. After validation of those links, the program will output 2 results files (Log.txt & Log2.txt), which record where the errors are in links and how to fix them, via an error code. In this version, it only checks links in <a href=""></a> tags, but more tags with links will come in the next version. A simple, fun program that prints whatever you type in backwards! 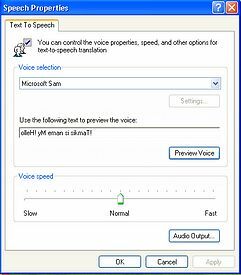 The result can be written to a file, and then can be put into speech applications, for learning how to speak backwards. An x64 edition will be compiled with QB64 soon. 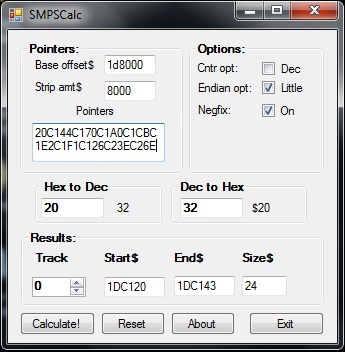 SMPS Calc is a simple calculation utility that calculates pointers used to find and extract SMPS Music/sfx from Sega Genesis/Mega Drive Roms. After inputting a list of pointers and other information, the program will output a file (at the current directory called "Game_[number].txt") containing the start and end of the Music/sfx, the track number, and the size of the file. With all of that information outputted, you can now easily extract SMPS Music/sounds without doing the painstaking, slow, and manual hex math to find offsets! V2.0 is the final version of SMPSCalc for QuickBASIC 4.5/Qb64, while V3.0 is the visual version of SMPSCalc. 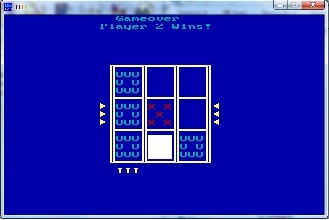 An interesting QuickBASIC/QB64 game, based upon the classic Tic-Tac-Toe game. The difference in this game, though, is that there are powerups, and the player can get three-in-a-row throught the three floors which are stacked on the tower. A very interesting game, worth playing. Features powerups, 1 or 2 player games, and 1 or three-floor games. 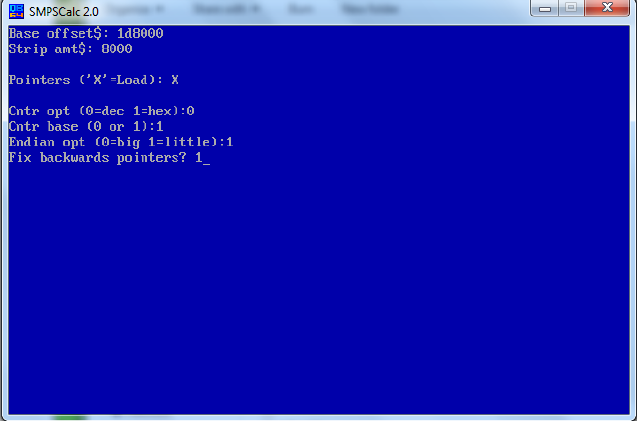 EPak PC is a port of ePak from Ti-BASIC to PC with Visual BASIC 2010. ePak (PC) is a set of various VB programs for doing math pertaining to Electronics. At the time of this writing (9/27/11), only a DEMO is available, and the pak includes the programs RColor Code, Basic eFormulas, and Circuits. 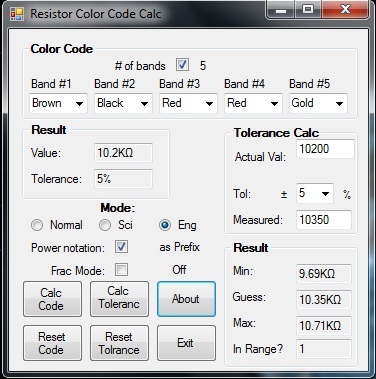 RColor Code is used to decode the resistor color code and to calculate the tolerance of a resistor. Basic eFormulas does, well, solves for a variable in various basic electronics formulas, including voltage, current, ohm's law, and all three forms of Watt's Law. 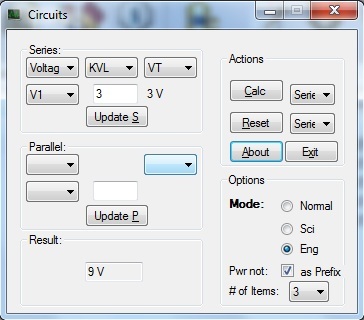 Circuits finds various information about components in a Series/Parallel circuit. As a bonus, all programs in EPak will use Tamkis Lib, which is a class of useful functions made by me. 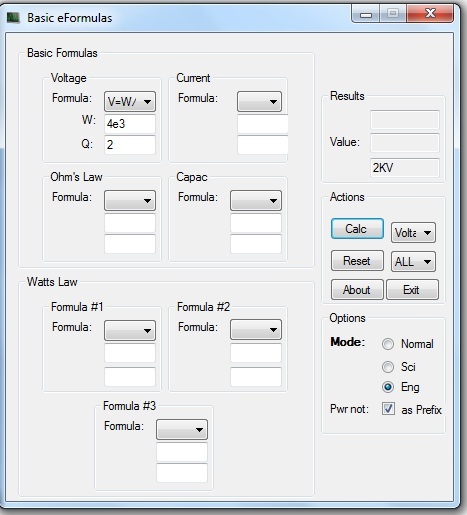 With Tamkis Lib, all calculations in EPak can be displayed in normal mode, scientific notation, or engineering notation. For the last 2 notations, the results can be displayed in sci notation (e.g. 1000V=1e3V) or with a prefix (e.g. 1000V=1kV). Download DEMO (v0.01 r4) here! Tamkis Lib is a static class library made for Visual BASIC 2010. I plan it to be a port of many functions from CPanel Lib/TiOS to VB10. It will contain datatype functions, object functions, and various math functions. It is the set of functions that I most often use in my programs.